“I do enjoy books about magic and wizardry and I am a big fan of Harry Potter, but don’t think for a minute they are the same. This book really keeps on the edge of my seat and I REALLY did not want to put it down. Yes yes yes! I read the first book to my daughter who LOVED it and then we discovered this one – book number two and it didn’t disappoint at all. It’s a really good alternative to Harry Potter if you have run out of Potter books. The plots are complex and intriguing and you have to concentrate, as the world Everest has created, has its own rules and language. I would urge you to read these in order – this is the second one. There is now also a third one – hooray. Mr Everest could we please have a fourth one, or is that being greedy? Have been busy recommending these books to my Year 5 class. I’d say these would be suitable for 8yrs (possibly to be read to) up to 14yrs. Having said that I really enjoyed it too and it was a very long time ago that I was 14! It’s the last week on what I can honestly say is one of the best children’s books I have read for a long time! 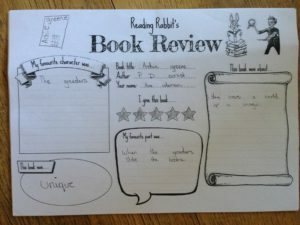 Reading rabbits have thoroughly enjoyed it too! 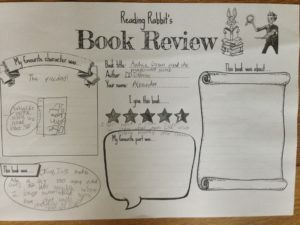 The children in my school, North Molton Devon LOVE your books too. Indie in Oz apparently loving the book and hasn’t put it down. 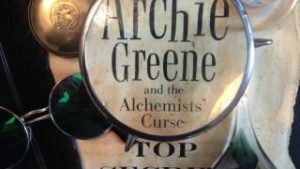 I really love your Archie Greene books and I was wondering whether you will be writing any more? If you are, when will they be released? 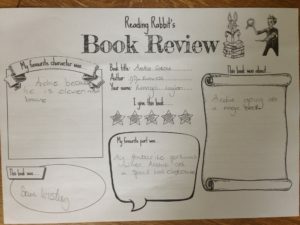 “Joshua wanted to tell you that he has enjoyed the series immensely and wants to say thank you for writing three exciting books that were fantastic to read with great stories and full of imagination. Purchased for my 10 year old son after D D Everest visited the school (Archie Greene and the Magician’s Secret). He loved it! Not read it myself but he was glued to it every bedtime for a week. Have already ordered the 2nd of the series from the same seller. Not bought as new but as second hand and to be honest you couldn’t tell the difference. In a nutshell: another fast-paced story, and thrilling conclusion to a magical series. Archie Greene, apprentice at the world’s most magical museum and descendant of the Flame Keepers of Alexandria is back, in the third and final book in this popular series. In this adventure he and his fellow Alchemists’ Club members, Bramble and Thistle, have a particularly dangerous challenge: the Dark Flame is rising and stopping it means contact with Archie’s enemy, Fabian Grey. Once again, this is a satisfying mix of magic, challenges and friendship, and there are lots of secrets waiting to be discovered. If you’re new to the series, there’s just enough information to fill you in on the background, but better – and a treat – to start at the beginning and work through to the end. I am a “seasoned” adult, but the child within me enjoyed Archie Greene and the Magician’s Secret with every fiber of its being. I’ve been a writer/editor (but not of books) for over 35 years, so I know a good story when I read it. You are a brilliant weaver of tales, D. D. Everest, and you certainly know how to wrap up a story with a powerful ending! Every time I think of the hero, The Book of Blessings, it makes me smile deep down. Thank you for this beautiful and magical story. This book thrilled me. Even though this is the second installment of the series and the only one I’ve ever read, Everest does a marvelous job at summarizing the previous book without spoiling it, which is a difficult task for many. The characters are marvelously realistic, as well as the limitations of magic, making the book well-fleshed out with a heart to its story. It was all wonderfully done, with just enough description to leave you informed yet not spoil it, actually enticing you to read the first book. In fact, even though the first book was summarized, Everest’s writing and story-telling has me adding the first book in the series to my “to be read” list.The plot is fascinating, leaving you on the edge of your seat as you navigate through the twists and turns of the action and subterfuge. Everest does a terrific job at bringing the details in slowly, leaving you guessing but never quite certain. The writing is perfect for middle-graders, with the right amount of thrills and humor, and enticing characters and a hooking plot. It was a wonderful piece of work, and I cannot wait to read what comes next! 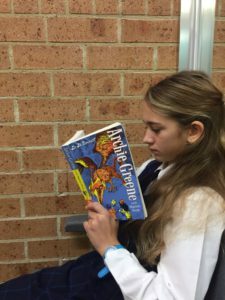 “I really like the Archie Green books. They are one of the best books I have ever read. I would be very happy, if there will be a fourth. Maybe there will be an Archie Green Film in the future? “My son (8 years old) has read your (translated in Dutch) book; archie greene and the magician’s secret. He likes it very much. … And my question is; is there some material/pictures/…… available he can use for his report for school? We hope someone can/will help us :). … they are looking forward to book number three! Is it definitely the last one? They wanted me to ask if they were being made into films. I think the mark of a good book is that you can picture it in your head as if it were a film. Archie definitely falls into that category! We can just imagine the scene in Quills with the door ray and the box seats and motion potions! “This is an amazing book about a boy who has just turned 12. One day he receives a book in the post with a set of special instructions. He has to travel to Oxford where he discovers the magical side of his family he never knew he had. I loved this book as it was packed with magic and it was never boring. I rate this book 10 out of 10 and I am sure everyone else would too. “This book sent tingles of excitement and wonder down my spine. It was intense and thrilling…I couldn’t stop reading! One of the best books I have ever read.